Papio NRD in Omaha is a long-time customer of JM. After many years of providing updates to their previous website, JM received the opportunity to redesign and rebuild a new website for Papio-Missouri River Natural Resources District. The website is a custom design, wrapped on a WordPress content management system. 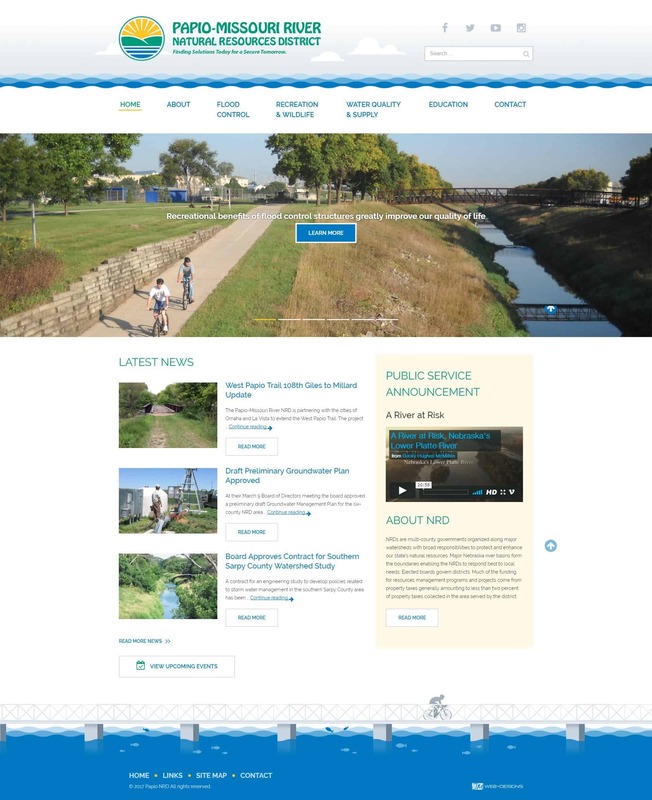 Beyond the beautiful and simplistic design, and mobile-friendly technology, this website has many custom features to assist Papio NRD in providing information to the public. The website has an extensive archive of meeting minutes and files, as well as a notification system for their bids and proposals – allowing users to sign up and receive real-time notifications of posted bids.